Can You Buy a Life Insurance Policy Without an Agent? Consider this: What would happen if you were to be diagnosed with a terminal illness, or if you were involved in a fatal accident? While those types of situations aren’t exactly something you really want to think about, it could happen. And what type of situation would your loved ones be in if you were to die unexpectedly? If they are dependent on your income, if they have to pay your debts, or if they have to cover the cost of your final expenses, they could end up in a serious financial situation. In fact, they could end up being destitute. You definitely don’t want your spouse, children, or any other person who is financially dependent on you to suffer if you pass away. That’s exactly what life insurance is for. While there’s no amount of money that could ever replace you, the payout from a life insurance policy could certainly make their loss of you a lot easier to navigate. If the idea of sitting down with an insurance agent doesn’t sound appealing to you, you’ll be happy to know that you don’t have to! You can purchase a life insurance policy without consulting with an agent! To learn more, keep on reading. If you want to purchase a life insurance policy but you don’t want to sit down with an agent, you can buy a policy right over the Internet. There are tons of insurance companies that offer quotes online, from well-known providers to independent carriers. What’s the benefit of buying a life insurance policy online? For one thing, it’s convenient. You don’t have to sit down with an agent and go through tons of personal information, or haggle over quotes. Instead, you just put your information into the computer, and you’ll receive instant quotes from providers. You can buy a policy anywhere you want to; while you’re at the office or while you’re sitting on the couch at home! What could be easier? Buying life insurance online is so simple. Just open up your web browser, type in “life insurance quotes” or something similar into your search engine, and you’ll instantly find dozens of reputable sites that offer policies. Some sites offer quotes from multiple providers, or you can purchase one directly from a carrier’s site. Of course, you will have to enter some personal information, like your gender and your zip code. Depending on the site you’re working with, you’ll be able to see quotes instantly. Once you find a quote that you’re interested in, you’ll be able to apply for a policy by answering some simple questions about your health. You’ll the company permission to retrieve information that pertains to you from several databases; for instance, information about your health can be determined if a company accesses a prescription medication database, or details about your driving record by checking a department of motor vehicle database. After you fill out the application, you’ll immediately find out if you’ve been approved. That’s all there is to it! 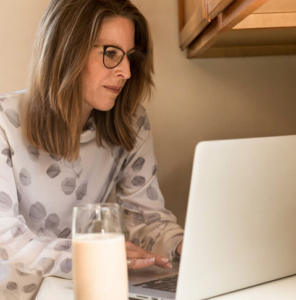 If you are planning on purchasing a life insurance policy online without an agent, there are a few things that you’re going to want to keep in mind. You’ll only want to purchase the amount of coverage you really need to keep your premiums down and avoid paying for coverage that you don’t really need. You should only accept an offer from a reputable life insurance carrier. Do your due diligence. Research firms before you start applying for insurance online so you have a general idea of what firms you can rely on. If it seems complicated, think twice about purchasing a policy. Some firms will offer a bunch of bells and whistles that you really don’t need. You’re there to insure one thing: your life. Should You Ever Consider Working with an Agent? Buying life insurance online may not be for everyone. If you would like to physically speak to someone about your options, then working with an agent might be a better option for you. However, generally, you can find out all of the information you need to know right online so that you can make a sound decision. There’s nothing more important than taking care of your loved ones. The best way you can do that is to purchase a life insurance policy. Thanks to the Internet, you don’t have to work with an agent; you can buy a policy that works for you right online.